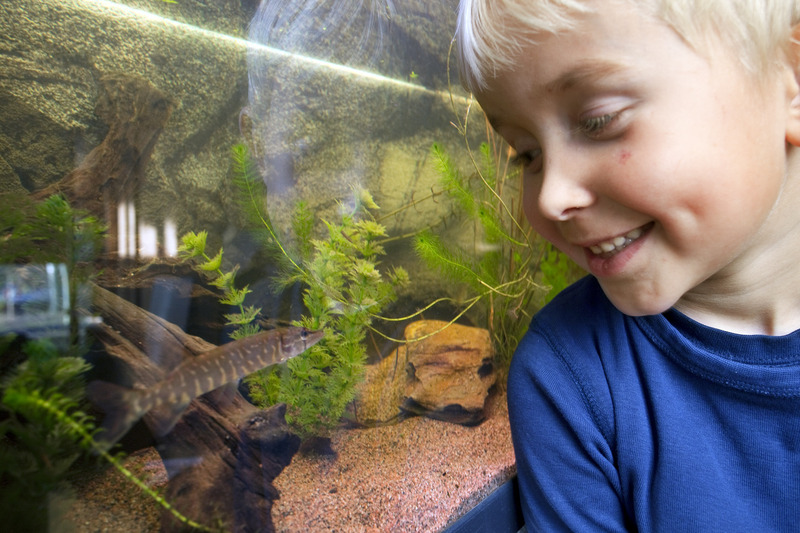 Welcome to our child-friendly hands-on exhibition at Visitor Centre Wetland, Northern Øyeren, the largest inland delta in Northern Europe. Our overall aim is to get children of all ages interested in nature, especially wetlands, and enjoy nature which in turn hopefully will turn them into guardians of our nature and contribute to its future protection. Our award-winning visitor centre is a 300 m2 building filled with exhibitions (lots of interactivity for children), a café and a small shop for the visitor. The main focus in the exhibitions is regional nature and wetlands. The wetland centre is open every weekend all year and also during some holidays and through the summertime. The centre lies on the threshold to one of the largest ramsar site in Norway and has a beautiful view into the Northern Europe's largest inland delta. The visitor centre has beautiful surroundings and a walk path following the river through a nationally protected timber floating site (Fetsund Lenser). Our centre has approximately 25 000 visitors per year and around 3.000 children are joining our education programs each year. Tuesday-Saturday 12:00-16:00 and Sunday 11:00-16:00.